Tweaking.com - Windows Repair is a all-in-one repair tool designed help fix various of known Windows problems including: registry errors, file permissions, issues with Internet Explorer, Windows Updates, Windows Firewall, Windows Installer (MSI) and many more. Malware and poorly installed programs can modify your default settings resulting in your machine working badly - or worse. With Tweaking.com Windows Repair you can restore Windows original settings fixing many of these problems outright. Tweaking.com - Windows Repairs is free for personal use. A Pro version is available with more features like automatic updates, an enhanced drive cleaner, memory cleaner, speed tweaks and more. 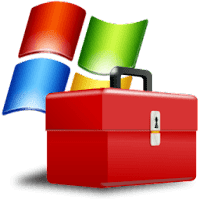 Disclaimer: Direct downloads for the lastest version of Tweaking.com - Windows Repair 4.0.6 are provided by the official software's author, we can't guarantee safety, availability or download speed. Moreover, we don't and we won't provide any pirated/illegal versions or tools. We recommend you to avoid it as these methods can harm your device. If you like the software, buy it to support the developers. (We provide software discounts for many worldwide brands).